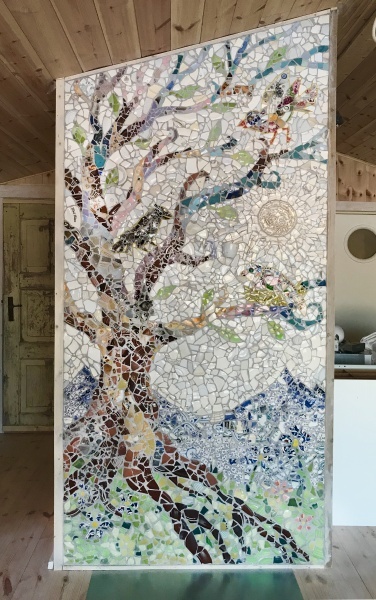 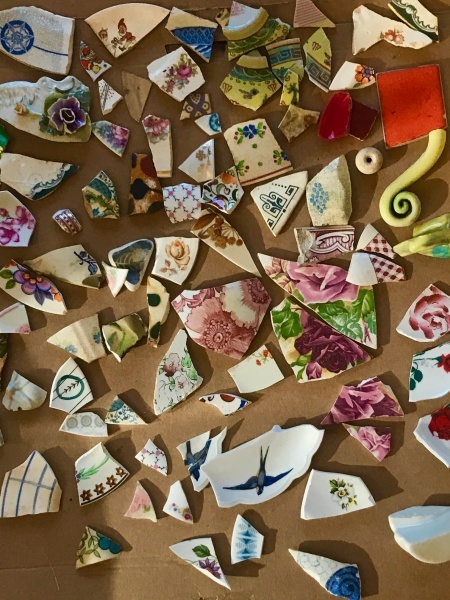 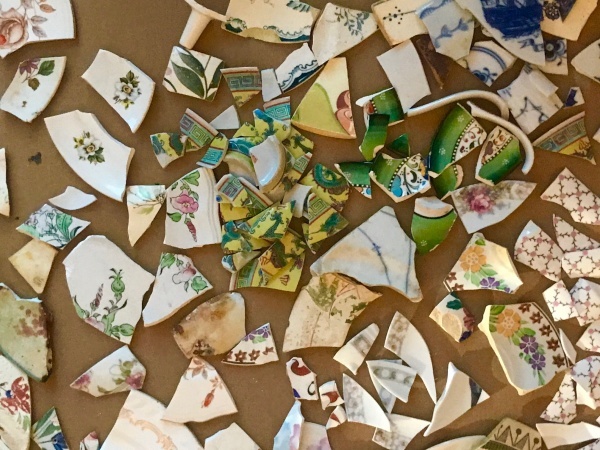 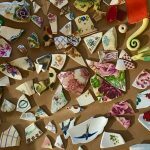 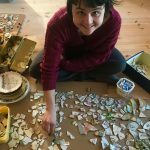 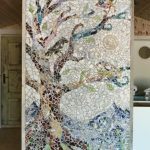 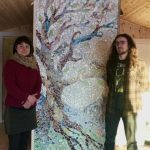 I have collected broken cups, mugs and plates for 18 years and always had it in mind that I one day would do a mosaic wall with the bits. 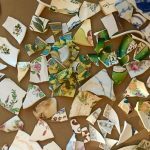 That horrible feeling of breaking your favourite mug but then the joy of adding it to your artwork! 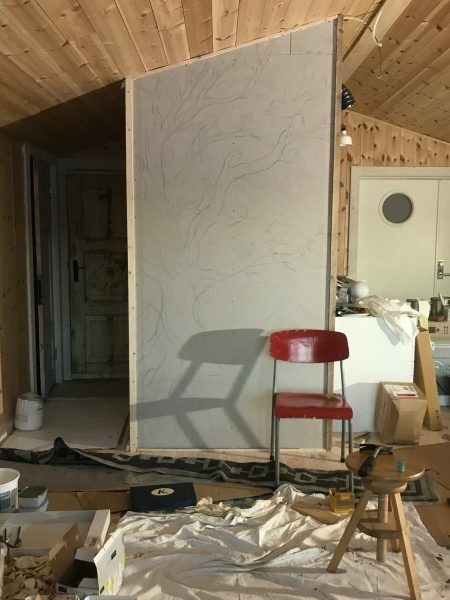 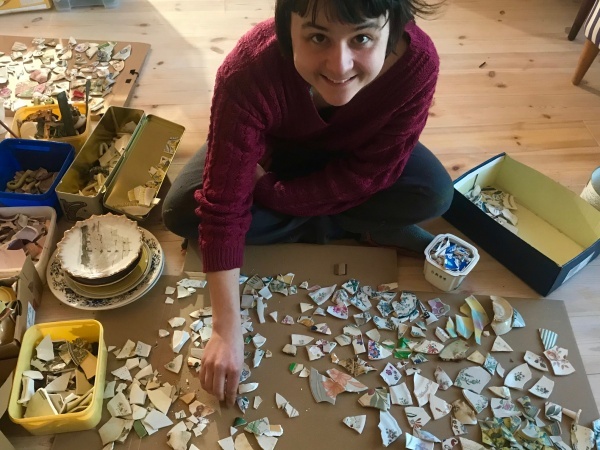 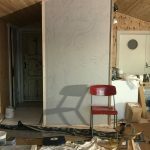 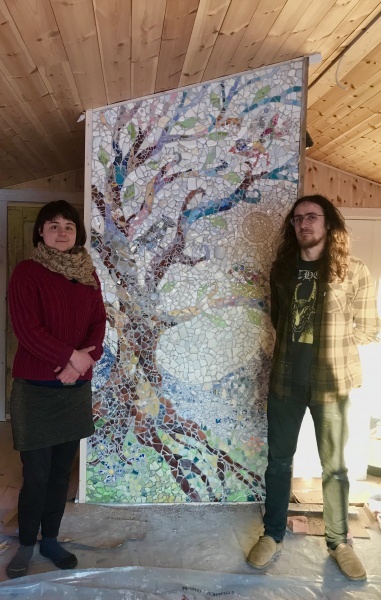 Together with all the treasures found on beaches with the kids when they were little and some gifts from friends and helpful acts from the local charity shop it has now finally happened with the help of my two wonderful Canadian artist helpers Melina and Vincent!